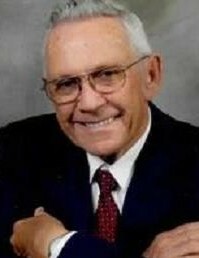 James Winford Brock, age 81 went home to be with his Lord and Savior on October 16, 2018. He was born in Iva, SC to the late James Hammond and Annie Mae Campbell Brock. He is survived by his wife of 60 years, Jennie Ruth Price Brock; grandson, Michael Dillon Brock of the home; his children, Rickey Winford Brock (Donna) of Honea Path, Carol Brock Johnson ( George) of Ware Shoals, Teresa Brock Hall (David) of Honea Path, Kenneth Franklin Brock (Janet) of Anderson; grandchildren, Christopher Heath Burton, Kara Johnson Sprouse (Butler), Shannon Ashley VanPelt (Sammy), Marcus Stetson Dukes, Andrew Wyatt Brock, Sofia Mckenna Brock, and Gunnar Liam Brock; great-grandchildren, Caleb and Cole Burton, Aiden and Anna Doyle, Brantlee and Deacon Sprouse, Layla Cape, Brenley Dukes, Kayleigh, Braylon and Brock Moore, Nina and Samanath VanPelt; brother, Lester Brock (Diane); three sisters, Audrey Taylor (Richard), Caroline Sisk (Eddie) and Mildred Dickson (Tommy); multiple “bonus” children/grandchildren. He was predeceased by a grandson, Travis Ashley; brothers, JC, Herbert and Joel Brock (Jacque) of Anderson and a sister, Francis Bell of Aiken. He was a member of Cross Hill Church of God and Sunday School Superintendent for 16+ years and church Popa. He was an honorary member of the Anderson County SWAT team., Gideon Prison Ministry and Mason of Center Lodge #37. He was retired from many different trades in life, bull dozer operator, farm manager, & textiles. He was an avid hunter and enjoyed spending every second with his family and friends. He never met a stranger. He was a kind, gentle, loving soul and loved to make people smile. He had a hug for everyone. Visitation will be from 1:00-3:00pm Friday, October 19, 2018 at Cross Hill Church of God. Home going services will follow at 3:30pm with Rev. Larry Richardson and Rev. Benny Dyar officiating. Burial will follow in Garden of Memories, Belton, SC. Memorials may be made to Cross Hill Church of God, 1703 Hwy 252, Belton, SC 29627 or St. Jude Children’s Research Hospital, 501 St Jude Place Memphis, TN 38105. A message of condolence may be sent by visiting www.mcdougaldfuneralhome.com.